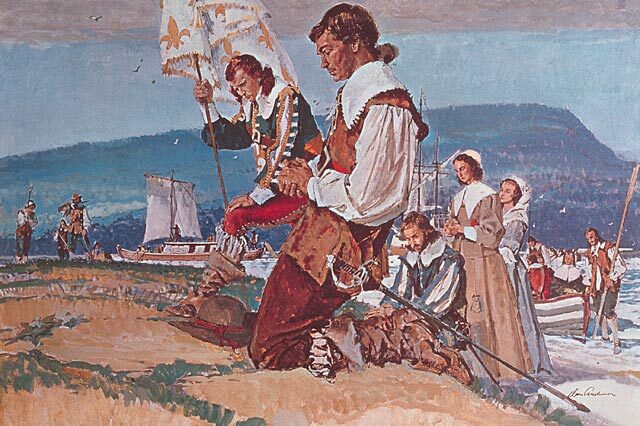 The first colonists arrived here on the shores of the St. Lawrence River, and it was thanks to the port that old Ville-Marie grew into the thriving international metropolis of modern-day Montréal. 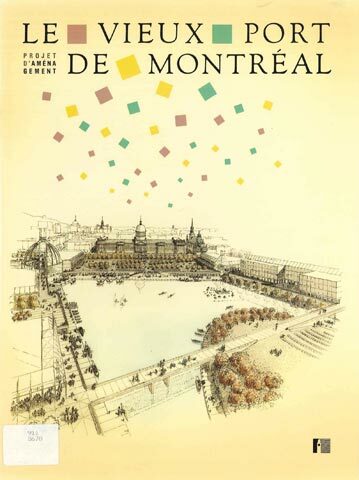 Montréal is founded by Paul Chomedey de Maisonneuve. 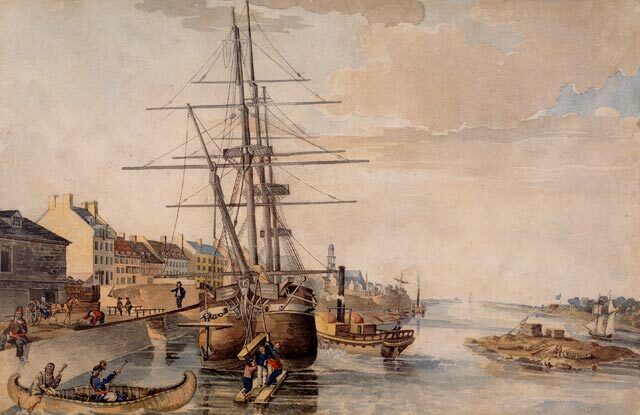 The Lachine rapids prevented him from sailing further west, so he likely anchored at what is today the Old Port. 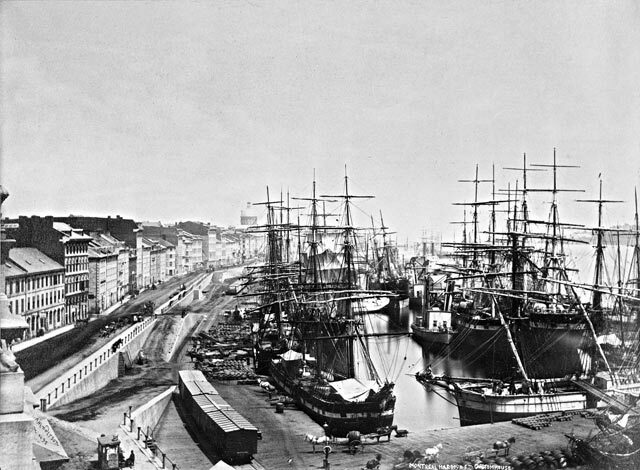 The fur trade expands and the first port facilities are built. 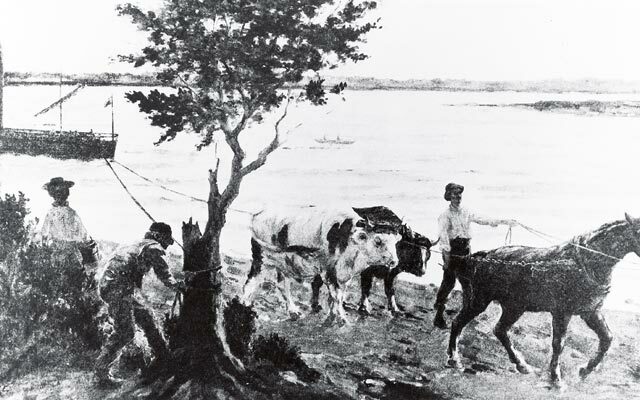 Instead of landing on muddy river banks, merchants build temporary wooden docks along the shore. 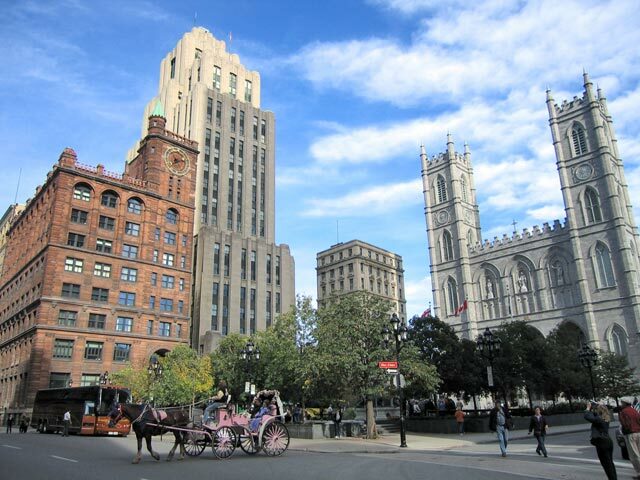 The Accommodation becomes the first steamship to offer regular service between Montréal and Québec City. 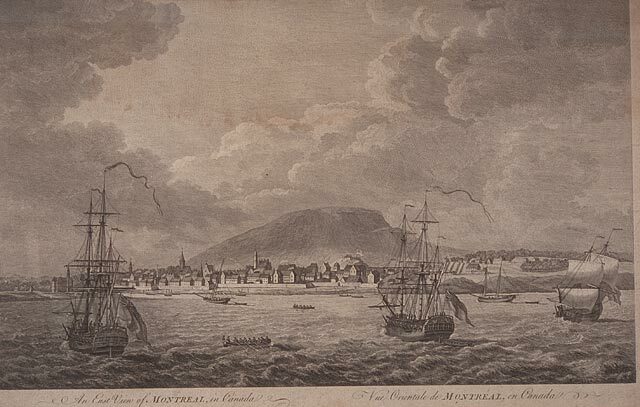 It departs from the pier of John Molson, owner of the vessel, west of the Bonsecours Chapel. 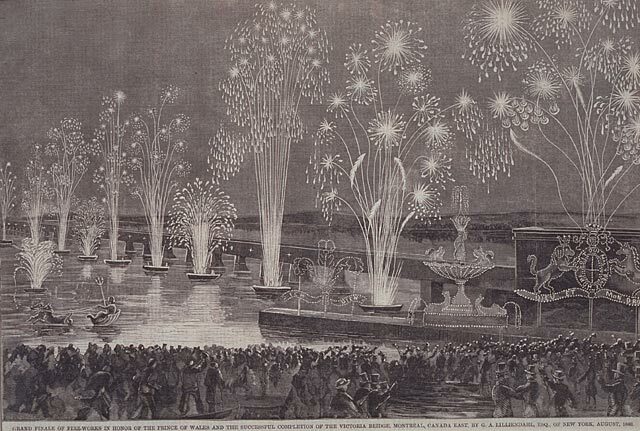 Official opening of the Lachine Canal, which made it possible to sail up the St. Lawrence to the Great Lakes. 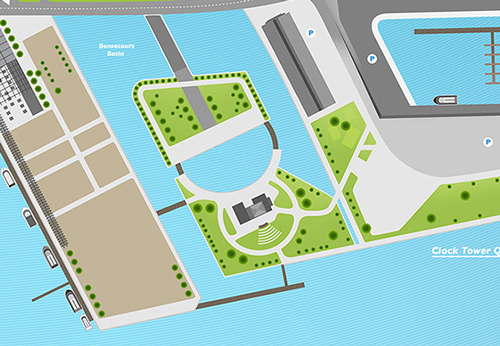 The Montréal Harbour Commission is created to enlarge the port and improve facilities. 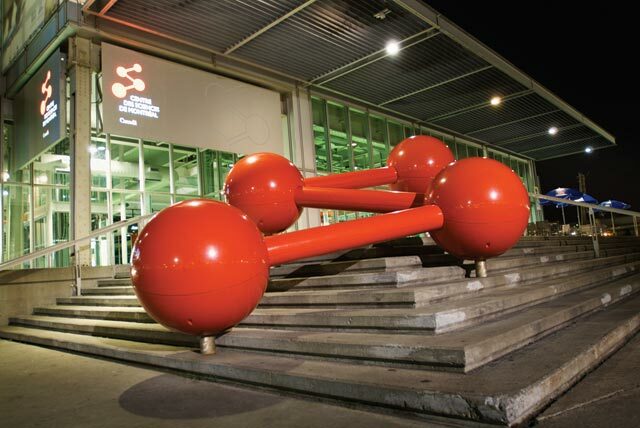 The first phase of this work would take place over the next 20 years. 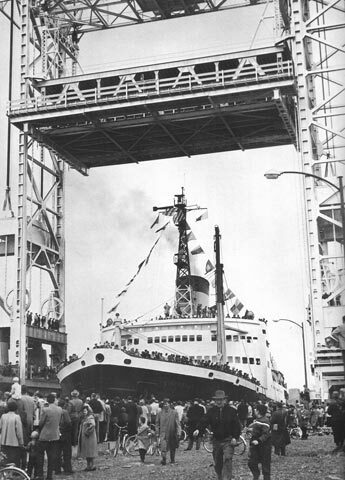 The Port of Montréal is now able to accommodate transoceanic ships. 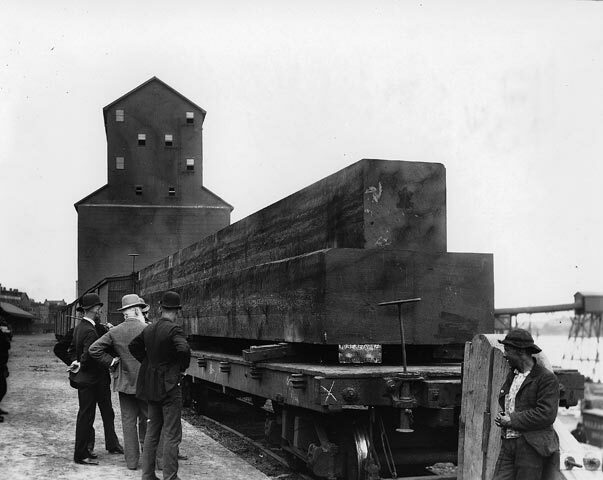 The railway industry begins to flourish. 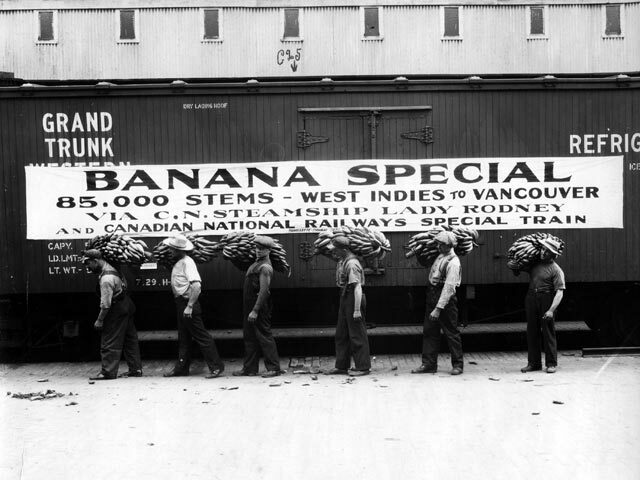 Montréal becomes Canada’s primary hub for rail and maritime transport. 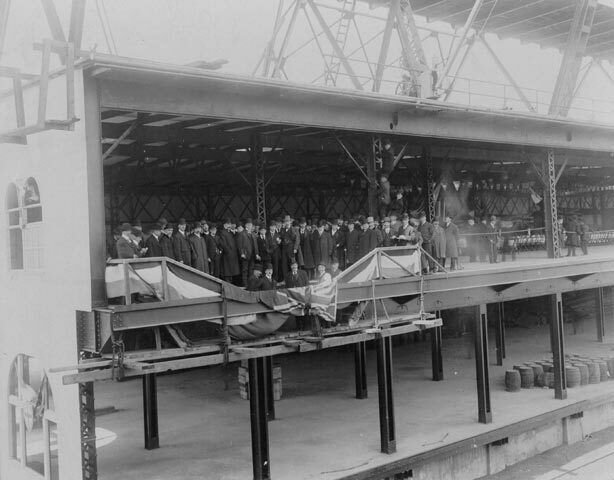 The first transcontinental train departs from the port. 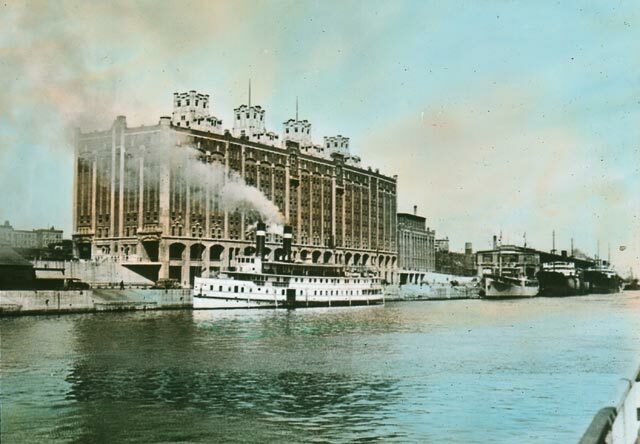 Major infrastructure built during this period includes concrete quays, steel storage sheds, docks and grain elevators. 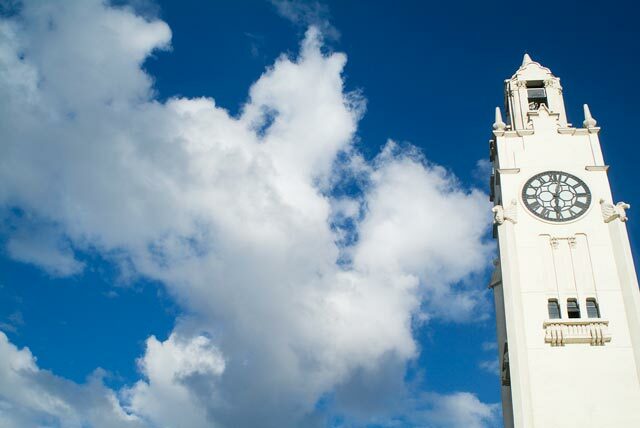 Clock Tower is inaugurated and cold-storage warehouse is opened. 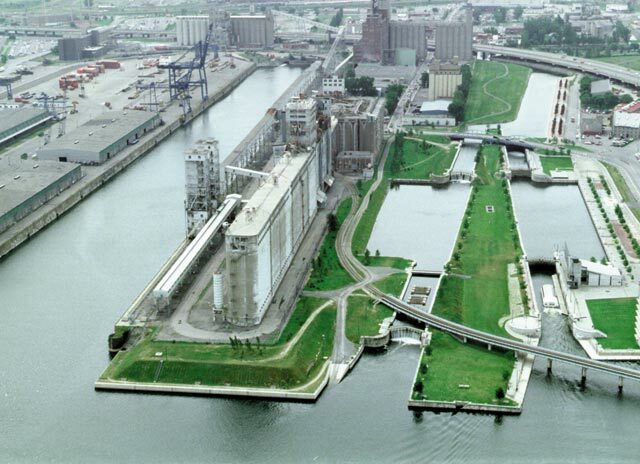 Montréal is the most important grain port in the world. Annual tonnage reaches its peak: over 12.5 million tonnes of merchandise transit the Port of Montréal. 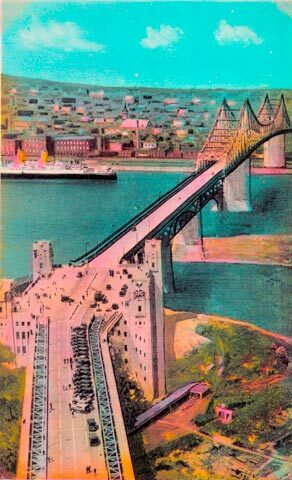 The bridge is renamed the Jacques-Cartier Bridge a few years later. 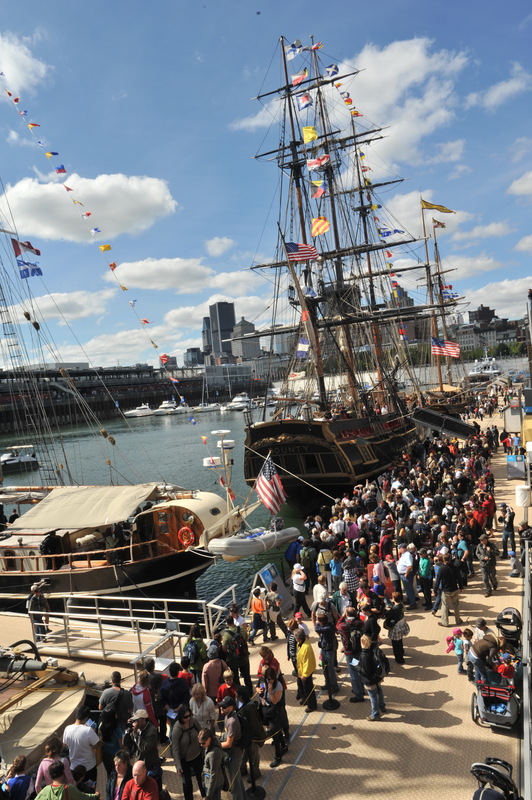 Ocean-going vessels can now reach the Great Lakes without stopping in Montréal. The port experiences a drop in activity. 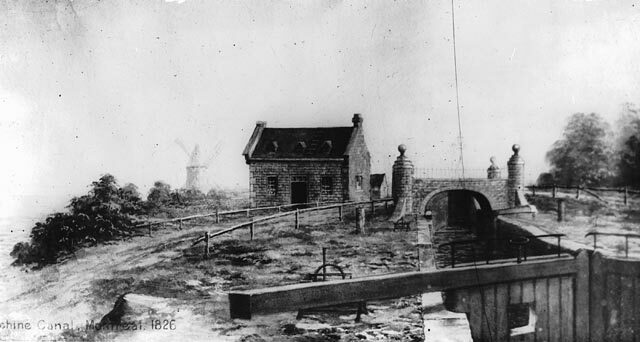 The Port is moved farther east, putting an end to port activities in Old Montréal. 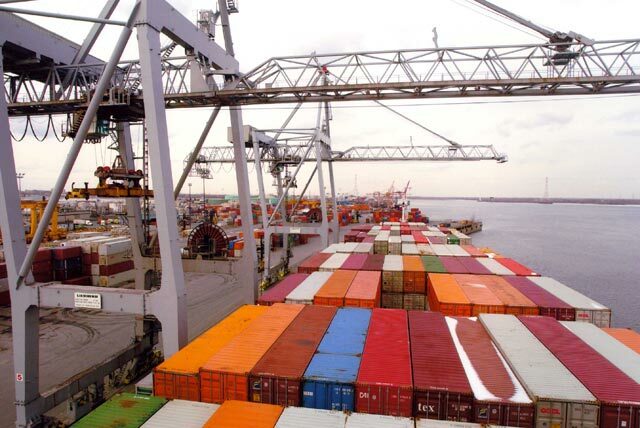 The Port of Montréal specializes in handling containers and soon receives its one millionth container. 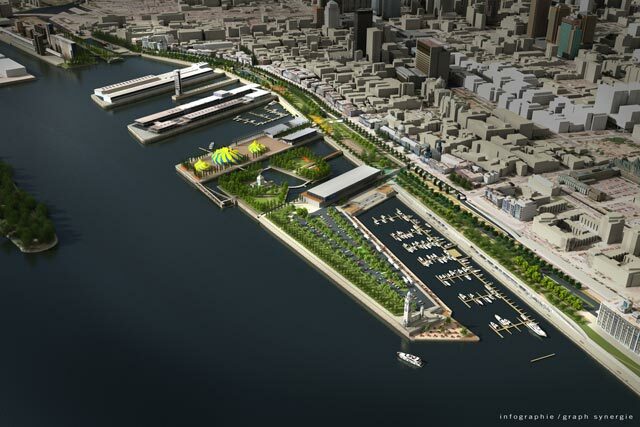 The Canadian government announces its intention to redevelop the area left vacant by the port’s move. Subsequent years see public consultations on its future vocation. 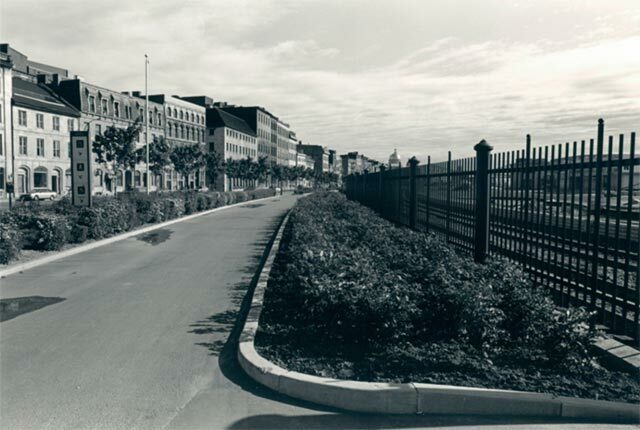 A linear park is created along Rue de la Commune, and six of the eight rail lines are removed. Grain Elevator No. 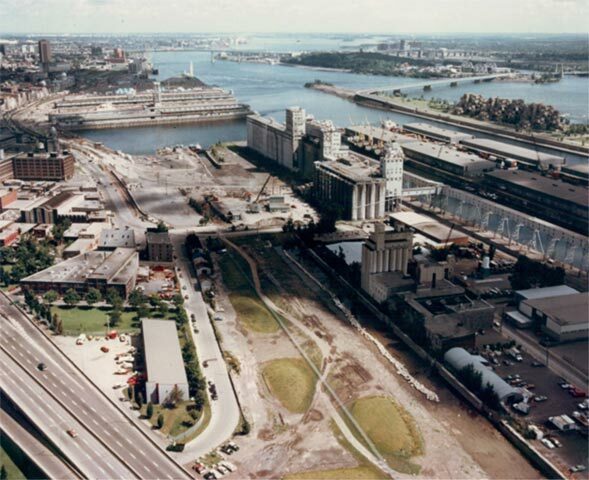 1 (near the entrance to Alexandra Quay) is demolished to improve access to the river, in accordance with public wishes. 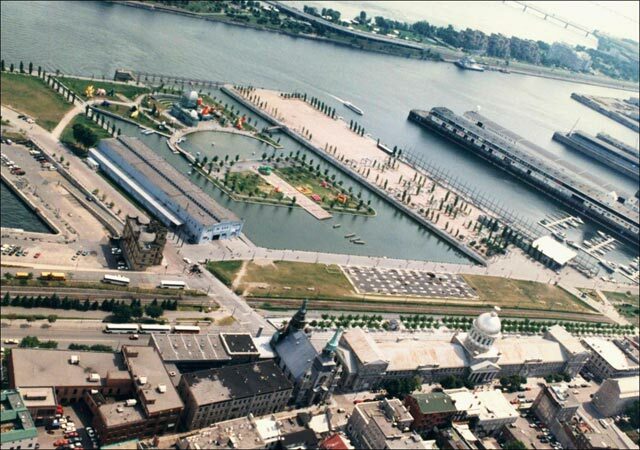 The Old Port of Montréal Corporation master plan is submitted and approved, advocating the enhancement of the site and its rediscovery by Montréalers. 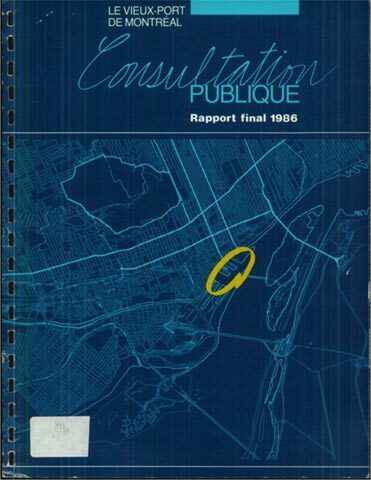 Development plans and work on the Bonsecours Basin, the Jacques-Cartier Quay and other facilities. 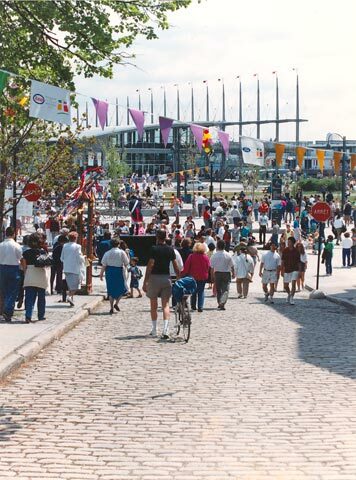 The government and Old Port of Montréal Corporation adopt the 2005–2015 Vision Development, a plan to enhance the Old Port’s recreational, tourism and cultural infrastructure.